Stanford scientists have discovered a surprising source for an organic molecule used as an indicator for life on early Earth. "Scientists will have to take on a much more nuanced interpretation of what this molecule is telling us about life on early Earth," said Stanford University geobiologist Paula Welander. Tetrahymanol is a fatty molecule, or lipid, found in the membranes enclosing eukaryotic cells, the class of cells that carry their genetic material in compartments called nuclei. Eukaryotes can be single-celled or multicellular; humans and plants are eukaryotes, as are plants. It was thought that tetrahymanol was produced primarily by eukaryotes, but a new study suggests many bacteria might also produce the lipid. The finding, published in this week's issue of the journal Proceedings of the National Academy of Sciences, could mean scientists will have to reevaluate their views about ancient organisms and ecosystems. Evidence of tetrahymanol, and thus eukaryotic life, have been found in rocks dating back to 1.6 billion years ago. "Because they are so well preserved, these lipids allow us to go really deep into the rock record and learn about what life was like back then," said Welander, an assistant professor of Earth system science at Stanford School of Earth, Energy & Environmental Sciences. Unlike most other organic molecules, cyclic lipids – the class of lipids that tetrahymanol belongs to – are quite durable and can linger in the environment. So even after a cell has died and its other biomolecules such as DNA have degraded, the tetrahymanol that helped make up its cell membrane can remain. Over time, the lipid can become part of the rock itself. Geobiologists use tetrahymanol not only as an indicator of ancient life, but also as a gauge of the environmental conditions that existed when the organisms that made the lipid lived. For example, modern marine eukaryotes ramp up the production of lipids such as tetrahymanol when stressed by a lack of oxygen. 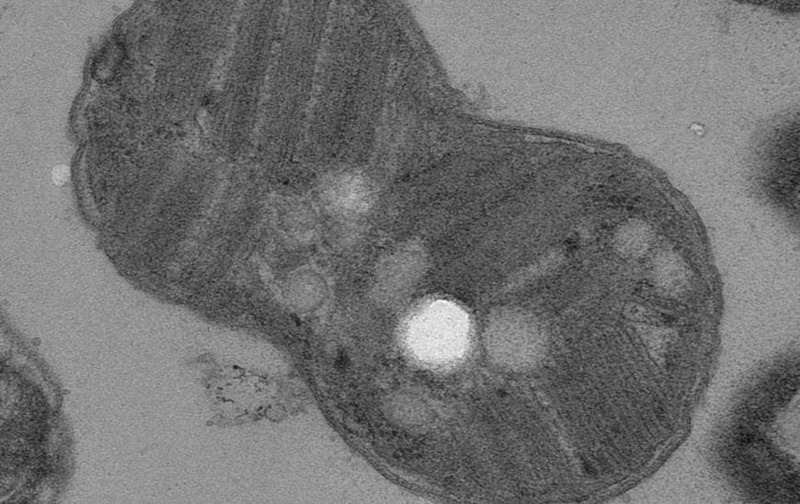 From this, scientists infer that ancient eukaryotes – which are also thought to have lived primarily in oceans – produced tetrahymanol when oxygen levels dropped, such as can occur in aquatic zones made up of water layers with varying oxygen concentrations. "Tetrahymanol is a valuable indicator of water column stratification on the early Earth," Welander said. Prior to the new study, scientists knew of only two bacterial species that produced tetrahymanol in small amounts. "The conventional wisdom was that these organisms produced tetrahymanol accidentally," Welander said. A computer-generated reconstruction of tetrahymanol synthase above, the protein that scientists believe generates tetrahymanol in bacteria. Courtesy of Paula Welander. 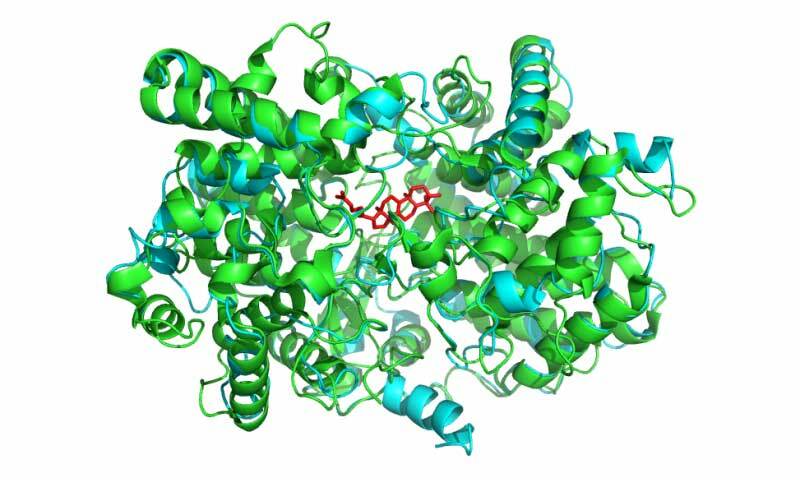 But recently Amy Banta, a postdoctoral researcher in Welander's group, and Jeremy Wei, a lab manager at Stanford, found evidence that the bacteria Methylomicrobium alcaliphilum produces lots of tetrahymanol. Using genetic manipulation techniques, the group showed that M. alcaliphilum was not making the lipid by accident. "We could change the amount of tetrahymanol in the bacteria by tweaking its growth conditions. To us, that means it's somehow controlling the production of this lipid," Welander said. By comparing the genomes of various bacteria, the team was also able to identify and delete the gene in M. alcaliphilum that produces the lipid – an important first step for determining what function tetrahymanol plays in bacteria. Welander says her team's finding that eukaryotes are not unique in producing and using tetrahymanol means that geobiologists will have to consider alternative explanations for its presence in ancient records.